Input your PU Number in the spaces provided below the page and Voila! 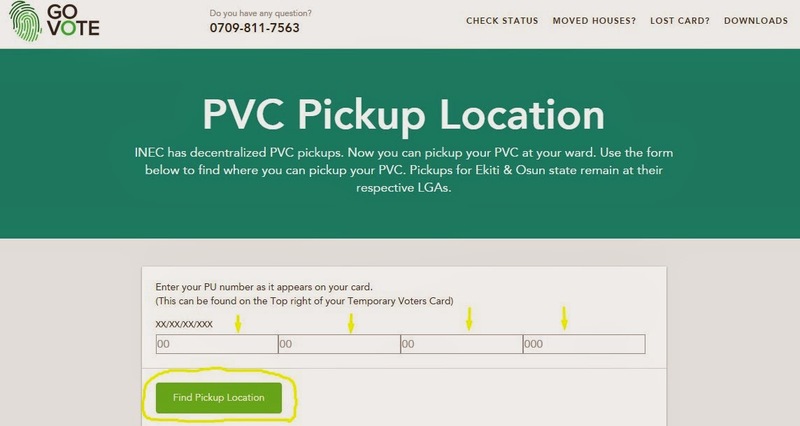 the location of your PVC will be displayed right on your screen. I just tried it and I'll be heading to my pickup location tomorrow. Share this post to let your friends know about this information. Your contributions are highly welcomed.